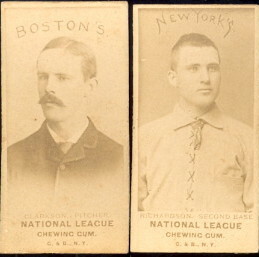 This rare set of cards issued with G&B chewing gum picturing players from the national league and the american association in the 19th century. measuring approximately 1-1/16" X 2-1/8" with blank backs. 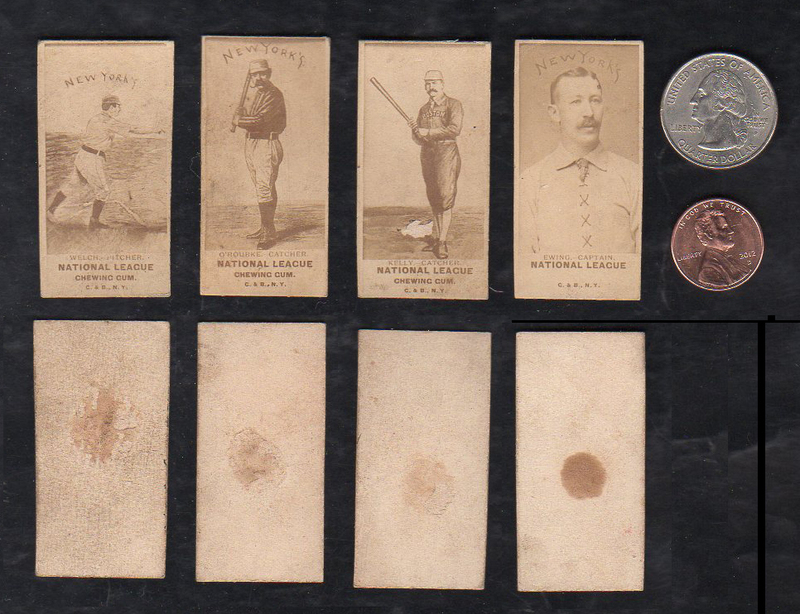 They are nearly identical in format to the N403 YumYum tobacco cards. Many of the images were shared between the sets. 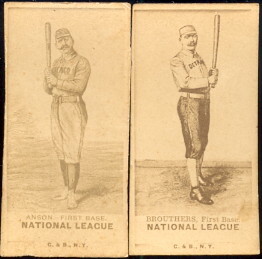 Most of the cards appear to have a photo image as well as a line drawing, the line drawings appear to be taken from goodwin and co studio photos used with the N172 Old Judge issue. The check list numbers up to 181 but is skip numbered to allow for future disovery of more players or poses which certainly will be discovered.